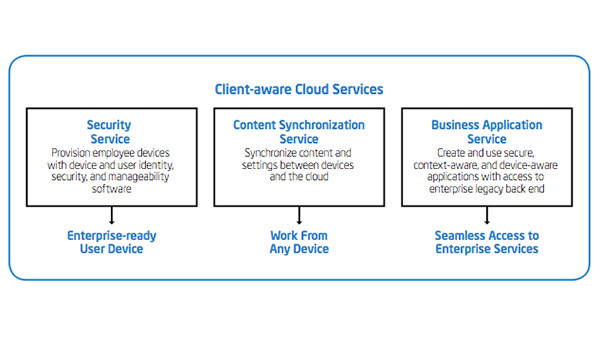 IT Best Practices: Intel IT is transforming our application delivery model to enable the back-end cloud and the front-end client to work together to support an increasing number of combinations of operating systems, devices, and computing models. Our goal is for users to have seamless, secure access to cloud-based corporate and personal applications and services across the broad range of devices that make up the compute continuum. Applications that can recognize and make use of client capabilities can make this vision a reality.